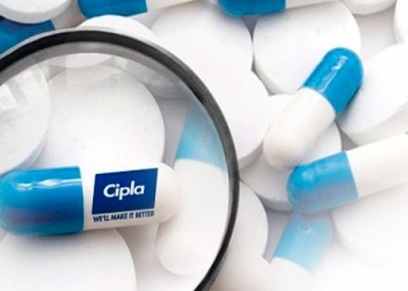 Mumbai, May 12 : Healthcare company Cipla Monday said it has invested $21 million in US-based Chase Pharmaceuticals Corporation Inc through its wholly owned subsidiary, Britain-based Cipla (EU) Limited, to develop a drug for Alzheimer's disease. Based in Washington, Chase is an early stage drug development company focused on developing novel approaches to improve treatments for Alzheimer's disease. It has a unique patented approach and is focused on improving the efficacy, safety and tolerability of existing Alzheimer medications. The two-phase financing, the company said, will support Phase 2a and Phase 2b clinical trials for Chase’s lead drug CPC 201. The original venture funding for Chase was provided by the BrainTrust Accelerator Fund in 2010. "This investment is consistent with Cipla New Ventures’ mission to build more innovation-led business streams for Cipla in the future. We want to bring affordable medicines, where we identify an unmet patient need, in a way that leverages Cipla’s formidable technology, device and development capabilities," MD & Global CEO Subhanu Saxena said in a statement. In a separate filing to the Bombay Stock Exchange, Cipla said it has signed a "definitive agreement to invest $1.5 million" in Chase to acquire 14.6 percent stake in the company on a fully diluted basis". In India, whare the caregiver is the family and the economic and social impact is far reaching, over five million patients suffer from dementia, most of whom are afflicted with Alzheimer's. These numbers are expected to double by 2030. In addition to financing Chase, Cipla will collaborate with the company to develop the drug. If successful, Cipla may provide low cost access to Chase’s lead drug in India and South Africa where Cipla has championed affordable access to essential and life-saving medications for decades.